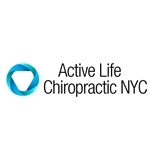 Active Life Chiropractic NYC (New York) - Book Appointment Online! Dr. Michael Shaub utilizes advanced Chiropractic techniques to not only relieve pain, but to find and fix the cause of your pain, preventing future occurrences. Dr. Shaub is fantastic. He's patient, thorough and kind. My neck is so much better, and I always feel great after I visit his office. Highly recommended.